Arnot Heffernan Slobodian Law Office has grown over the years since its creation in 2002. 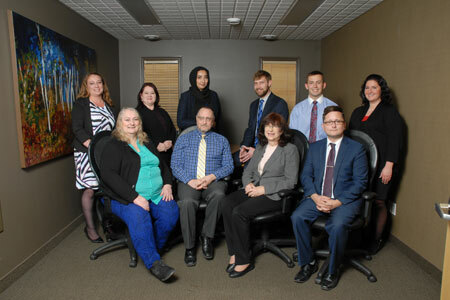 In 2002, Randi Arnot and Dan Heffernan combined their respective practices into one, forming Arnot Heffernan Law Office. Brent Slobodian joined the law firm in 2008 and became a partner in 2013, thus creating Arnot Heffernan Slobodian Law Office. Five experienced lawyers, a student-at-law, and four administrative staff members now make up the law firm. Our team is committed to helping each client find a solution that meets his or her specific, individual needs. Continue reading below for more information. Ms. Randi Arnot is a partner with the Prince Albert firm of Arnot Heffernan Slobodian Law Office. 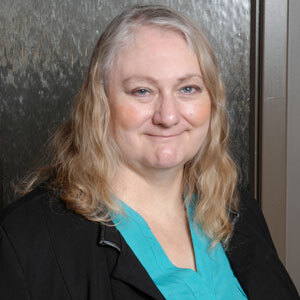 Randi graduated from the College of Law at the University of Saskatchewan in 1983, completed her articles in Regina, and has been in private practice in Prince Albert since 1984. She received her training in mediation in 1987 with CDR Assoc. of Boulder, Colorado, and advanced training in Comprehensive Family and Divorce Mediation in 1997. Randi obtained further training in Collaborative Law in 2003. She is active in Prince Albert and surrounding area as a lawyer, mediator, collaborative lawyer, and arbitrator. She remains a member of the International Academy of Collaborative Professionals, Conflict Resolution Saskatchewan, Collaborative Professionals of Saskatchewan Inc. (past president) and the Prince Albert Bar Association (past president). Randi is one of a few lawyers in the province presently appointed to represent children in cases of child protection matters. Randi’s practice is primarily focused on resolving issues that arise in areas where a future relationship is threatened and there may be a negative impact on you or on people about whom you care. Some examples include: Separation and Divorce, Wills and Estate Planning, Employment Law, and Business Law. Randi has over 30 years of experience in litigation, collaborative negotiation, and mediation. She has over 10 years’ experience as an arbitrator. Her community involvement includes serving as a board member of: Saskatchewan Opportunities Corporation, Representative in the Senate of the University of Regina, Prince Albert Co-Operative Health Centre, the Canadian Federation of Business and Professional Women, the National Council of Women of Canada, and the Prince Albert Economic Development Board. She is also a member of the International Academy of Collaborative Practitioners, the Canadian Bar Association, Family Mediation Canada, Conflict Resolution Saskatchewan, and the Prince Albert Bar Association. Randi has been active in the community for many years, being involved in economic development, health services, and with organizations addressing social issues. Randi was honoured as a recipient of the YWCA Women of Distinction Award in 2001 for her contribution to her community and profession, particularly in the areas of separation and divorce law, and mediation. Randi has been asked by the legal profession to submit written articles, and as a result has published articles and presented seminars for the legal profession on a variety of topics including: current issues related to determining income is complex scenarios, preparing clients for litigation or negotiation, current family property issues, and the use collaborative process to increase access to justice. Randi enjoys helping people plan for the future with a view to reducing: cost, stress, uncertainty, and possible conflict for their family members. In the event of the breakdown of marriage or relationship, or in the event of conflict among siblings regarding an estate, Randi helps people to have respectful, but necessary discussion during difficult transitions. The focus is to help preserve relationships for children or family members, preserve your net worth, and maximize outcomes. Daniel B. (“Dan”) Heffernan was born in Rosetown, Saskatchewan and has lived and worked in the province his entire life. Dan attended the University of Saskatchewan, receiving an undergraduate honours degree in Archaeology in 1980, and a law degree in 1984. He moved to Prince Albert in 1985, and has practiced law in P.A. for the past thiry-three years. Dan’s primary areas of practice include real estate, business and corporate law, wills and estates, and administrative law. He has represented individual and corporate clients from across Saskatchewan, as well as a number of non-profit and charitable organizations. He is a long-time member of the Saskatchewan Trial Lawyers Association, and a past District Governor and past President of the Association. As a member of the Board of Directors of Special Olympics Saskatchewan. 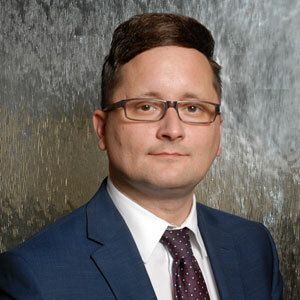 Brent P. Slobodian was admitted as a lawyer to the Law Society of Saskatchewan in 2009, following the completion of his law degree and B.A. (Hon.) in Political Studies from the University of Saskatchewan. Brent moved to Prince Albert in 2008 to complete his articles, remaining within the community and developing his practice at the firm he is now a partner with Randi Arnot and Daniel Heffernan. 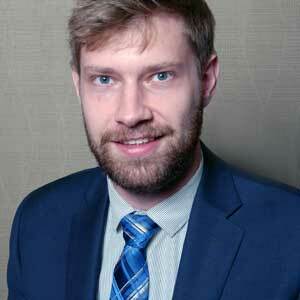 Brent has a practice primarily focused on criminal law litigation. He has appeared within the Provincial Court of Saskatchewan as well as at the Court of Queen’s Bench in numerous jurisdictions within the province. Brent also maintains a general practice which includes family law, family services or child protection law, and wills and estates. Brent has been a member of the Trial Lawyers of Saskatchewan and the Collaborative Lawyers of Saskatchewan, receiving his training to become a collaborative lawyer in 2010, and is a member of the local Prince Albert Bar Association. Daniel attended the University of Saskatchewan to obtain his undergraduate degree, receiving his Bachelor of Arts in Political Studies. Daniel then moved to Halifax, Nova Scotia to study law at Dalhousie University in 2014 and received his Juris Doctor in 2017. 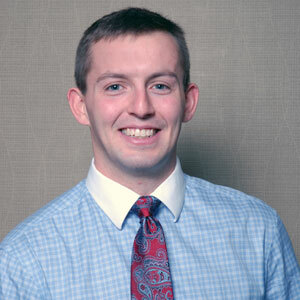 Daniel completed his Articles with Arnot Heffernan Slobodian in 2018 and is continuing to develop his practice with the firm. Daniel enjoys a general practice of law. He began helping people while he was in law school by volunteering time at a legal clinic run by students and supervised by lawyers. He offers a listening ear, and provides straight forward advice. He is comfortable in the court room, but also a skilled negotiator focused on the best results for you. Daniel enjoys the outdoors, particularly our beautiful lakes and camping areas. Daniel is interested in history and visiting historic sites. Since coming to Prince Albert Daniel has become involved in the community through the Kinsmen Club of Prince Albert and is a member of the Board of Directors for the Mann Art Gallery. 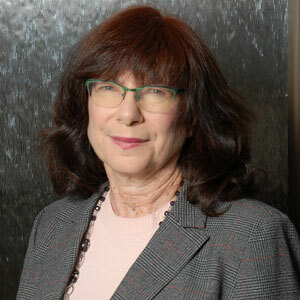 Norma L. Buydens is an experienced lawyer, with a well-rounded background in the general practice of law, including estate planning, civil litigation and corporate law, with a special interest in family law. She is an experienced litigator, having logged significant hours in the Court Room. But having been trained as a Collaborative Lawyer, Norma is also skilled in helping clients to find less conflictual approaches to resolving their family law matters. A mother of two young adults, Norma is empathetic with the concerns of parents of children of all ages. Norma loves art, reading (especially murder mysteries), music and cooking. She has strong interests in the rights of the disabled, and is hoping to become more involved in the community in the next few months. Moving to Prince Albert from the far South East of Saskatchewan, Norma is now enjoying the beautiful scenery in and around the city and in Northern Saskatchewan. Jeff loves working with people and helping them understand and explore their goals. Having recently finished law school, Jeff understands how intimidating legal problems can be and the value of having a lawyer who is able to turn big problems into easy solutions. Jeff’s goal is to develop a practice that reduces his clients’ stress levels and makes their lives better. Jeff has worked at Arnot Heffernan Slobodian Law Office in Summer of 2016 and 2017 and is now a Student-at-law. Jeff expects his call to the Bar in September of 2019. Although he does not yet a preferred area of practice, he enjoys solving legal problems and combining his knowledge from both his business and legal educations. Jeff holds a Juris Doctor with Distinction (2018) and a Bachelor of Commerce in Accounting with Great Distinction (2015) from the University of Saskatchewan. 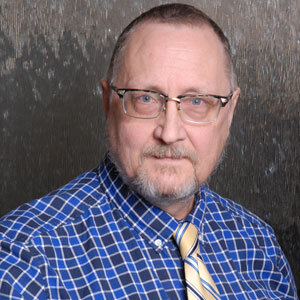 While at university, Jeff earned numerous scholarships including the Edwards Undergraduate Scholarship, the Joseph H. Thompson Scholarship, the William Elliott Scholarship in Law and the University of Saskatchewan Undergraduate Scholarship. In his free time, Jeff enjoys spending time in the beautiful Prince Albert area in the outdoors with his wife Emily. Together, they enjoy bicycling, cross-country skiing, hiking, snowmobiling and everything to do with summer and the lake (except mosquitos).